American Pancake: "Circuits" by TV ME feels like a psychedelic animated movie. "Circuits" by TV ME feels like a psychedelic animated movie. 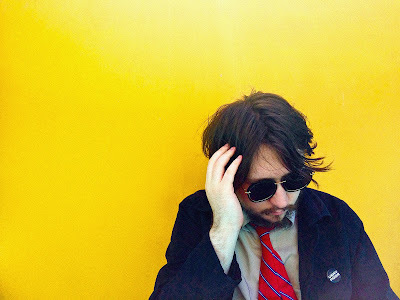 Steeping myself in a lot of guitar-centric music (lately) then hearing a track like Circuits by TV ME, a recording project of Liverpool (UK) native Thomas McConnell is quietly blowing my mind. From the onset the synth do this weirdly cool twist on the end of the notes followed by a deep groove (beat) and while a lot of electronic based artists would filter in waves of sound (yes that happens later) McConnell goes for a very power pop-ish organic sounding piano double time chord progression. Doing this within the confines of this ambient, reverb laden track is quite brilliant as are his melodies, McConnell's vocal sound (intimate but filtered in a trippy way) and the arc of the song feels like an animated movie. I don't know if there is a guitar in there somewhere (I think not) but I don't care. Loving the blend of pop meets ambient wave, meets psychedelia in this wonderfully produced bit of musical animated cinema.
. ‘Circuits’ is TV ME’s first new track since February’s EP ‘A Broadcast From TV ME’, which was released to critical acclaim, with support from the likes of Clash, Louder Than War, The Skinny and BBC 6Music.